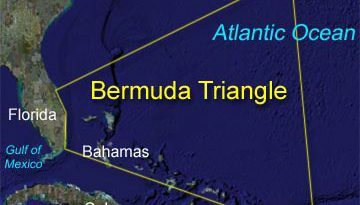 We’ve finally found the ultimate spot for beer lovers. 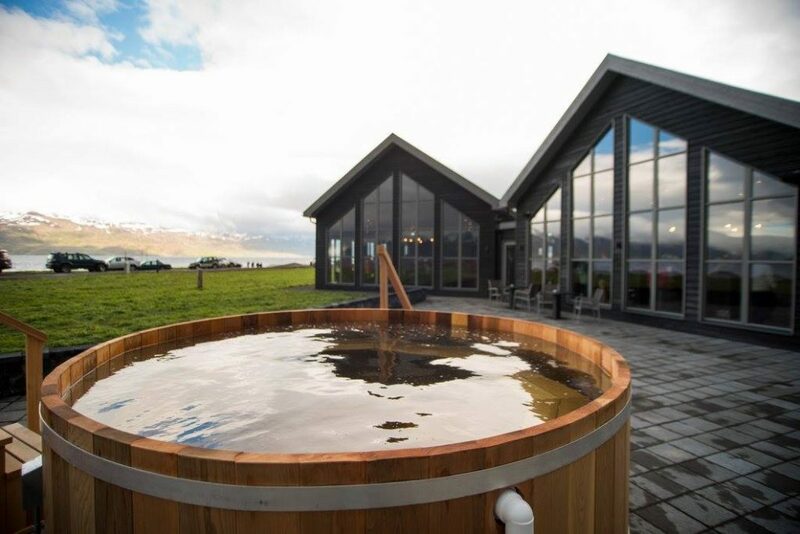 Located in the north of Iceland, the newly-opened Bjorbodin boasts of seven indoor beer tubs warmed to 100F and two outdoor tubs for larger parties. 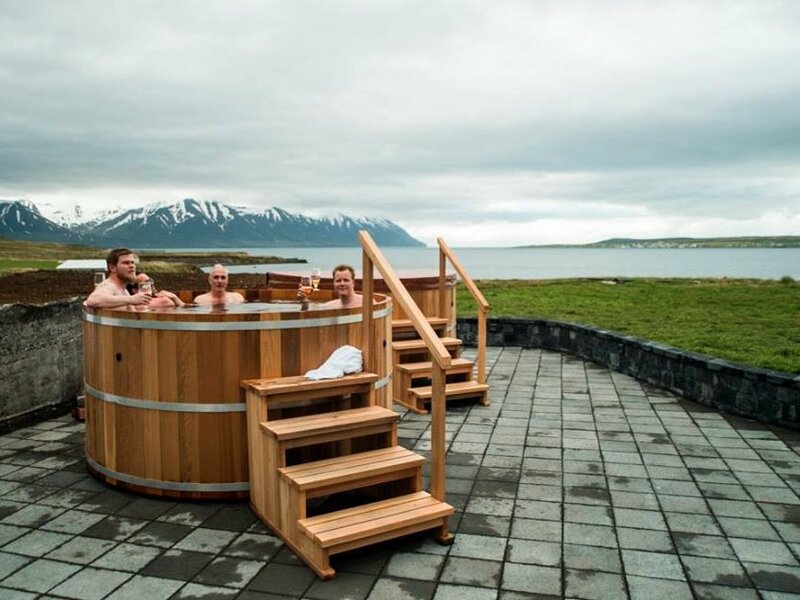 The beer spa is situated in a town named Árskógssandur. Each tub is filled with water, warm beer, yeast, and hops. The bathwater is undrinkable but all tubs are equipped with a nearby tap with unlimited supply of Kaldi beer. 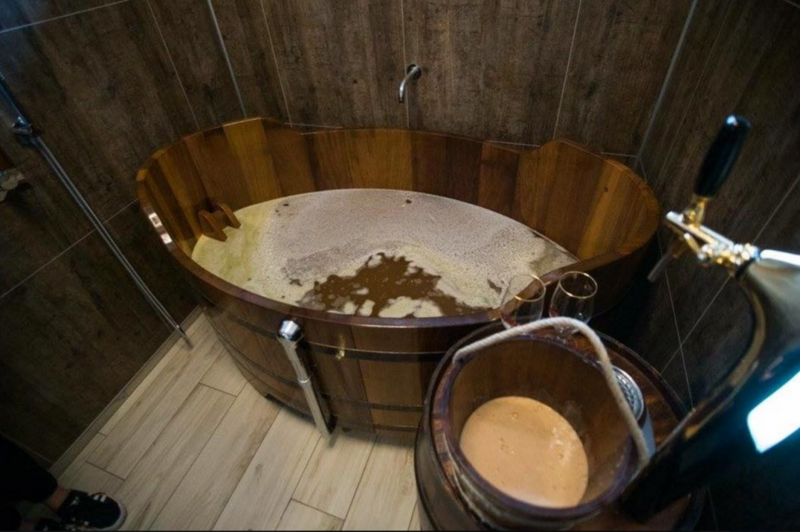 While we know only beer lovers are dying to get to this beer spa, visitors of all ages can soak in the tub which is claimed to have skin and health benefits. 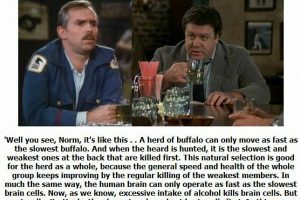 However, only guests over the age of 20 are allowed to drink beer. 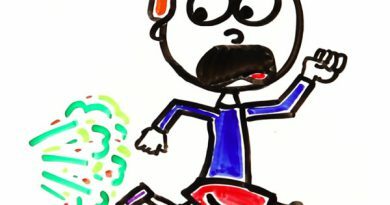 Guests under the age of 16 must also be accompanied by an adult. 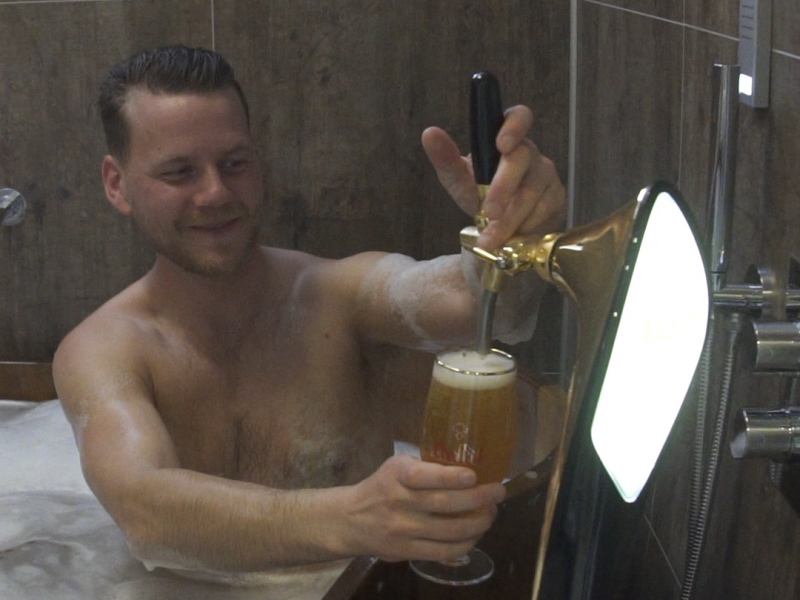 A beer session includes 25 minutes of soaking in the tub and another 25 minutes in the relaxation room to let the ingredients soak in. The spa recommends waiting for a few hours before showering to achieve the full effect. Aside from beer tubs, guests can also enjoy a variety of local dishes, and of course, more beer!